My friend John Hoge and I finished the 25th episode of The Other Podcast last night and were out to dinner when I picked up my phone and scrolled the Drudge Report, learning of the death of John McCain, whose general unpleasantness inspired the name of this blog. By that time, co-blogger Smitty had already posted a brief notice of the death of the man I called “Crazy Cousin John,” and I thought: What should I say? Perhaps it would be wisest to say nothing, although when I saw the Drudge headline — “MCCAIN DEAD” — I felt an urge to reassure friends and relatives that I was not the subject of this news. And certainly, so long as I am alive, I will bear the stain upon the family name caused by my cousin’s advocacy of “bipartisan reform” and his 2008 presidential campaign, which delivered the White House to Barack Obama. Politics is a team sport and, in a two-party system, there are no silver medals for a second-place finish. You either win, or you lose. It does not behoove us to celebrate defeat and losers are not generally regarded as heroes in politics. John McCain was a loser, and the particular way he went about losing deserves to be studied as an example of what not to do in politics. So as the cable-news channels are filled today with glowing tributes to the deceased senator, permit me to remind readers of exactly why we hated the man during his life. Let’s begin by contrasting John McCain with Ronald Reagan. In 1964, toward the tail end of the presidential campaign of Barry Goldwater, Reagan took to the airwaves to give a half-hour speech in support of the Republican presidential nominee. At that point, Goldwater was clearly on his way to defeat against the incumbent Democrat, Lyndon Johnson, but Reagan felt that it was important to give voters a solid exposition of the conservatives principles for which the GOP candidate stood. That speech, “A Time for Choosing,” is now remembered as the clearest articulation of the philosophy that, 16 years later, took Reagan to the White House and, eventually, consigned the “evil empire” of the Soviet Union to the “ash heap of history.” To this day, video of Reagan’s 1964 speech draws applause when it is shown at conferences of College Republicans, reminding them of their party’s fundamental creed. That, my friends, is how you win in politics, and the obvious question presents itself: Where is John McCain’s “A Time for Choosing”? Where is the definitive exposition of his political creed? Where is the video of him articulating a cause to which young Republicans can rally? Such a video does not exist, and why not? It’s because, deep in his heart, John McCain was always ashamed of being a Republican. This is one of the enduring problems of the GOP, namely that many of its leading officials are embarrassed by their association with the party, in a way that no Democrat is ever made to feel. Because the liberal media operate a 24/7 character assassination campaign against Republicans, it takes a strong mind to resist this psyops propaganda, to maintain a sense of political self-esteem while opposing the Democrat agenda. This is not how winners play the game. Nor can the kind of “bipartisan reform” agenda with which John McCain made his name synonymous ever do anything to help elect Republicans. There are three basic problems with “bipartisan reform,” first, that GOP officials who support such efforts are always doing so to curry favor with the liberal media; second, that these “reform” schemes always have the political effect of alienating the Republican Party’s conservative grassroots; and third, that Democrats will never support any “reform” unless they believe it will help them win elections (and thus obtain greater power) in the future. In contrast to John McCain’s pursuit of “bipartisan reform,” consider how the 1996 welfare reform act was imposed on President Clinton by the GOP majority in Congress. In 1994, Newt Gingrich had led Republicans to a stunning midterm victory, putting the GOP in charge of both houses of Congress for the first time in 40 years. Taking advantage of this powerful conservative momentum, Gingrich and his allies passed welfare reform legislation, which Clinton vetoed twice, but which the Republican Congress passed for a third time in the summer of 1996, and Clinton — recognizing how a third veto might be used against him in the fall presidential campaign — finally signed it into law, thus depriving the GOP of a major argument against his re-election. Gingrich & Co. were negotiating from a position of strength in 1996, and this was how welfare reform became a “bipartisan” issue. Such could not be said for John McCain’s advocacy of bipartisan “campaign finance reform,” and still less could it be said of McCain’s repeated efforts on behalf of “comprehensive immigration reform” which, as everybody with a lick of sense knows, is a synonym for amnesty and open borders. No Democrat will ever vote for any immigration “reform” that does not include amnesty for millions of illegal aliens, or reduces the influx of foreigners whom Democrats regard as a source of future votes. All you need to do to understand this is to look at California. Once upon a time, California was the leading site of conservative policy innovation, having twice elected Ronald Reagan as governor, and advancing tax-limitation policies like the Proposition 13 referendum in 1978. Now, however, California is home to more than 2 million illegal aliens, the state government is firmly controlled by Democrats, and every intelligent resident of California is busy planning their departure to Texas or Nevada or anywhere else in the country they can hope to escape the disastrous consequences of Democrat policies. No young American today looks at California as the land of opportunity. 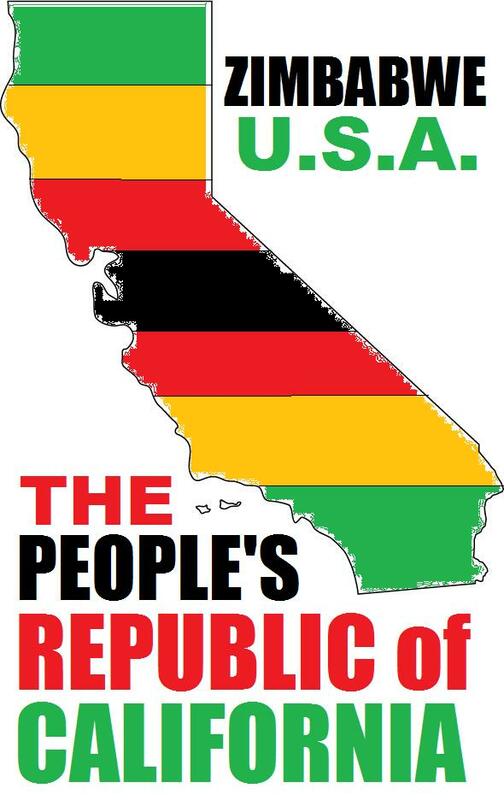 What was once “The Golden State” is now infamous for corruption, criminal violence, drug abuse, and sidewalks covered with feces — a failed state: Zimbabwe, U.S.A. Such was my sentiment in dubbing this blog “The Other McCain.” During the decade after I moved to the D.C. area in 1997, I learned to anticipate the inevitable question when I introduced myself to people in Washington: “Any relation to John McCain?” And for some time, I thought that we were unrelated until, in 2007, I skimmed through the Arizona senator’s autobiography and discovered that we were indeed cousins. Our common ancestor can be found in the first federal census of South Carolina in 1790. That ancestor had two sons, named Hugh and Alexander. As I’ve often said in explaining this, one branch of the McCain family became wealthy plantation owners in the Mississippi Delta, while the other branch became simple farmers in the red-clay hills of Randolph County, Alabama. John McCain was descended from the Mississippi branch, while I’m proud to be an Alabama McCain. John McCain had many personal traits that I recognize in myself. He was arrogant and stubborn, and viewed criticism as an insult to his honor. Perhaps the great difference between the Arizona Senator and myself was that, as a Navy officer whose father and grandfather were both admirals, John McCain was used to being treated with deference, no matter how controversial his opinions or behavior might be. By contrast, I long ago learned to expect to encounter opposition, hatred and envy from others, so I usually shrug off insulting treatment without complaint. Because I am a joker and a clown by nature, I often conceal my injured feelings with self-deprecating humor. Only rarely do I lose my temper and lash out at “friends” who have (perhaps unintentionally) insulted me. It is foolish to expect courtesy from one’s enemies, but the nature of politics is such that we are often insulted by those who claim to be our friends, who smile in our faces while they stab us in the back. This was why I parted ways with the Democrats about 25 years ago — Bill Clinton was one of the most selfish two-faced backstabbers in the history of American politics — and I refuse to tolerate it from Republicans. Don’t rip me off, sell me out, screw me over, and expect me to believe that your deliberate act of betrayal was somehow unintentional. Politics isn’t everything in life, but if you choose to become a politician, you should expect to be judged by a political standard. Because politics is a team sport, a good politician is always trying to help his team win, and should be judged by his success in doing so. This means, of course, that a truly successful politician can expect to be hated by the opposing party, the way Democrats hated Reagan. One nowadays is often told how Reagan was able to “compromise” with congressional Democrats like Tip O’Neill, but that could be explained by two factors: First, that Reagan won two landslide elections and thus was negotiating from a position of strength, and second, that the Democrat congressional majority in those days included many moderate and conservative members. You want “immigration reform”? Make sure you vote Republican in the midterm elections, crushing Democrats’ hopes of a “blue wave” and forcing them to accept whatever deal President Trump is willing to offer. Zero amnesty, and build the wall — that’s the “compromise” we want, and the only way to get it is to beat the Democrats so badly that they’ll have no hope of any future opportunity to vote for anything else. In politics, as in football, there is no substitute for victory. Why didn’t John McCain understand this? We could blame those six years he spent as a prisoner of war in North Vietnam. During the years McCain was a P.O.W., American politics changed, and the Democrats welcomed into their ranks those anti-American leftists who celebrated Communist victory in Vietnam. In the decades after the fall of Saigon, Democrats gradually became the party of Bill Ayers and Bernardine Dohrn. Perhaps this was the case even before I quit the Democrats back in the 1990s, but I was a young fool then, and at least could offer the excuse that I had inherited an ancestral loyalty to the Democrat Party the way other people inherit their grandmother’s silver tea service. We are far past the era when anyone could be as thoroughly deceived as I once was, and the death of John McCain is as good an occasion as any to explain the unfortunate truth of American politics in the 21st century. He was every liberal’s favorite Republican, which was sufficient reason to hate him as long as he lived, so that it was my policy never to say anything good about John McCain. Only his death has freed me of this obligation, and if I could think of any reason to praise him now, I would, but that would require more effort than it’s worth. Selah. Senate Minority Leader Chuck Schumer (D-N.Y.) said today he’ll be introducing a resolution to rename one of the Senate office buildings on Capitol Hill after late Sen. John McCain (R-Ariz.). . . . The building is currently named for former Sen. Richard Russell Jr. (D-Ga.), who was president pro tempore of the Senate when he died in 1971. There have been calls to rename the office building for years as Russell was a segregationist who led a Southern boycott of the Democratic National Convention after President Lyndon B. Johnson signed the Civil Rights Act in 1964. (Hat-tip: Ed Driscoll at Instapundit.) The reason Russell deserved to have a building named in his honor was that he served for 14 years as chairman of the Armed Services committee. Russell was a staunch supporter of national defense, as was his later successor, Georgia’s Sam Nunn. Without regard to the politics of segregation, my native Georgia is home to three major Army bases, Fort Benning, Fort Stewart, and Fort Gordon. Georgia has a proud military tradition, and Sen. Russell was at all times an advocate for the U.S. military. The fact that Chuck Schumer wishes to insult the memory of this famous Georgian, by renaming the Russell building as a tribute to John McCain, is perhaps the best possible reminder of why we always hated John McCain. Any Republican admired by Chuck Schumer must be a bad person.